Spelling games are nothing new and they can most certainly be a lot of fun. Their rules are always simple enough, they really encourage you to break the bounds of your vocabulary, and they can be highly cerebral and strategic. However, some players might lament that they can seem a little slow as well. Not only that, but some games in particular can take a good amount of time that you may not always have if you’re constantly on the move. This is where Scramble with Friends comes in. Combining competitive spelling with speed, it requires you to form words at a rapid pace before the clock winds down. If you want to see how well your vocabulary skills stack up against the world in record time, then this should be the game for you. Scramble with Friends is easy to play. Every round, you’re provided a grid of randomly-selected letters. At first, it may seem like they’re all just scattered around the board in a haphazard manner, but don’t be fooled! Closer inspection will reveal that there are dozens of words to spell out for anyone who’s willing to twist the letters around a little. The object of the game is to earn points by spelling out as many words as you can. Whichever player has the most points wins the game. Form words from any and all adjacent letters. Spell horizontally, vertically, diagonally, and in any combination thereof. Trace over them with a continuous stroke of your finger or stylus. Play games that last for three rounds. Work fast; you only have two minutes for every round! Spell longer words to earn more points. Make words that use less common letters to achieve an even higher score. Keep an eye out for double and triple multipliers. Spelling a word on them is a surefire way to increase your score exponentially! Getting good at Scramble with Friends will require more than just fast eyes and a mastery over the English language. There are also a variety of power-ups you can collect that add even more pizzazz to a game that’s already as fast as lightning. Getting the right abilities and using them at the correct times can and will mean the difference between total victory and crushing defeat! Earn tokens as you play and use them to purchase new power-ups every round. Use Freeze to stop the clock and give yourself a few more precious seconds. Employ Inspiration to highlight valid words on the board just in case you get stumped. Cast Scramble to rotate and/or flip the board. With the new perspective, it should hopefully make it easier for you to identify the hidden words. Use Vision to grant yourself a new short-term goal. Find three specific words on the grid to give yourself an even more glorious time bonus! Scramble with Friends is named for the fact that in order to fully enjoy it, you’ll need to get other people involved. Thankfully, it couldn’t be any easier; there are a variety of options available that allow you to quickly set up a match with either someone you know or a complete stranger. Who knows? You just might make a few new friends as well. 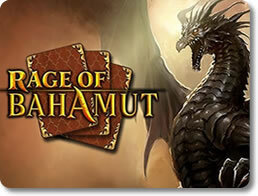 Sign into your Facebook account and invite your friends over to play a match against you. Use the built-in search engine to seek worthy yet familiar opponents by their usernames. Face off against a random player quickly and easily using the in-game matchmaking service. Exchange messages with your opponent using the built-in chat feature. When it comes to portable fast-paced spelling, nothing beats Scramble with Friends. It’s smart, it’s energetic, it has a strong social element, and it’s a lot of fun for anyone who owns an iPod Touch, iPhone or Android smartphone. Best of all, it’s now completely free! There’s little reason to delay if you’re curious and a lot of potential enjoyment to be had, especially if you possess a flair for language. Paper Toss – Shoot Tricky Hoops in this Clean Edition of Wastepaper Basketball! Bejeweled Blitz – Match Gems Together at Lightning-Fast Speed! 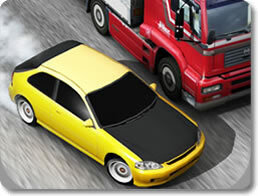 Traffic Racer – See How Long You Can Survive While Burning Rubber in Heavy Traffic!